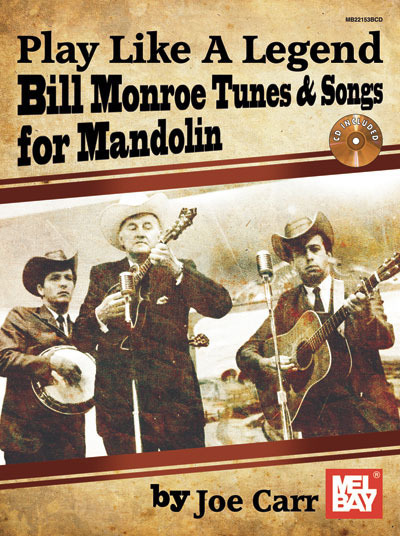 Mel Bay is pleased to present the first-ever book focused on mandolinist and "Father of Bluegrass Music" Bill Monroe. Author Joe Carr dissects Monroe's unique approach to the mandolin through analysis of the icon's stylistic nuances, licks and repertoire. Included in the book are transcriptions, new "in the style of" arrangements, chord voicing’s and rhythm/backup patterns and more. Further, this book includes 32 never-before-seen photos of Monroe in performance with his band the Bluegrass Boys and special guests. This book, complete with audio, will take the mandolinist back to the roots of bluegrass through its iconic founder's styling’s. Publisher: Mel Bay Pubications, Inc.